'To the Right Honorable, the Lorde of Burghley. Cutty Dyer lurked under the arches in the King's Bridge area. Richard Carlile (born 1790): "My first schoolmistress was old 'Cherry Chalk', who taught me the alphabet on a horn book, and performed all sorts of cures without medicine by the potent power of charms. She was a witch, but much respected as one who performed wonderful cures. There was another old woman who had the title of 'Witch', and one in a town is enough on whom Christian ignorance might vent its spleen. It happened that I escaped all injury from the witch, as I was a favorite boy with her until I grew old enough to be mischievous to her. Whether old 'Cherry Chalk' perfected me in the alphabet I cannot now say, but I perfectly well remember that I was taught about Christ, Cross, or Criss-Cross; now, I dare say that this emblem of the Christian religion was at the bottom of all her charms and spells. " 1828 The Exeter Flying Post (quoted in the Western Times) reported with amazement that belief in witches and white witches was still prevalent. A farmer living about a mile from Ashburton had had several animals die unexpectedly, and his cow, about to calve, was having seizures. Dr Saunders was called in to prescribe for the cow, but nothing seemed to help. At this point a neighbour suggested that the farmer consulted the White Witch of Staverton, who told him that he had refused a woman cyder, and the woman had cursed him. The White Witch, however, was able to counteract the curse, and when the farmer returned home the cow had calved safely. 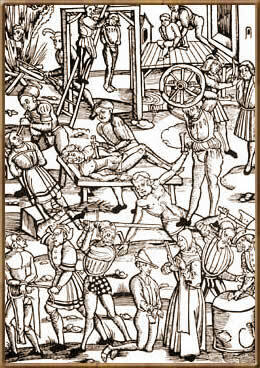 The farmer and his friends were now fully convinced of witches' powers. In August 1846 Mrs Norris, a grocer in West Street, was woken by the door handle being rattled. William Norris went to see what the commotion was about, and found an old woman outside, dressed in her nightclothes. Named Ford, she lived in Back Lane, but whether they knew her identity is uncertain. She was convinced that she should be sleeping at the grocer's, saying that she had been told to sleep there, and eventually the Norris family concluded that she thought she should be at Dr Soper's house next door. She went to work there at a very early hour, and apparently the Doctor had told her that she could sleep there. Several men who had emerged from public houses were alarmed by the appearance of Ms Ford, including one who 'screamed out "The Ghost!" and bolted'. In 1876 a case came to Newton County Court involving two Ashburton residents: Beauretuer v Daniels. Mrs Beauretuer was a grocer and herbalist, and Mr Daniels was a tailor. Each claimed money from the other, Mrs Beauretuer's claim being for payment for curing Mr Daniels's gout. Mr. Creed, questioning Mrs Beauretuer, caused considerable laughter when he asked whether her treatment consisted of having her palm crossed with money and her muttering a charm. She denied this and said that she had rubbed something onto the defendant's leg. Mr Creed persisted in asking her where she got her knowledge of charms, and Mrs Beauretuer retorted by asking him where he got his knowledge. When he replied that he got it from books, she said that she did the same. Mrs Beauretuer was apparently in the habit of bringing cases to court, and the judge suggested that in this one the plaintiff and defendant should call it quits. The plaintiff was unhappy with this suggestion, and the case was adjourned. * A bacterial skin infection, known since the Middle Ages when it was called St Anthony's Fire. * John Henry George Lee, otherwise known as 'The man they couldn't hang' was born in 1864, and was only 4 years old when Elizabeth Lee, his paternal grandmother, died in 1868. However, his maternal grandmother cannot be ruled out. ** Two police officers involved in the arrest and questioning of John Lee came to Ashburton. Frederick George Boughton was a police officer for 31 years, his last post being at Ashburton. He is on the 1911 census with his wife Betty, and four children, including George. He retired in 1913. See http://www.murderresearch.com/john-lees-story/ for the story of John Lee, and more details on Sergeant Boughton and Abraham Nott. *** I think the person who was afraid to go up North Street was Joseph Charles Nott (Joe), who is shown in 1911 as the son of police pensioner Abraham Nott. Abraham Nott was also involved in John Lee's arrest. Hazel Bray recalls the story of Joe becoming something of a recluse, but he did help with the horses belonging to the Heron-Mason family. Eventually he married one of the two daughters. 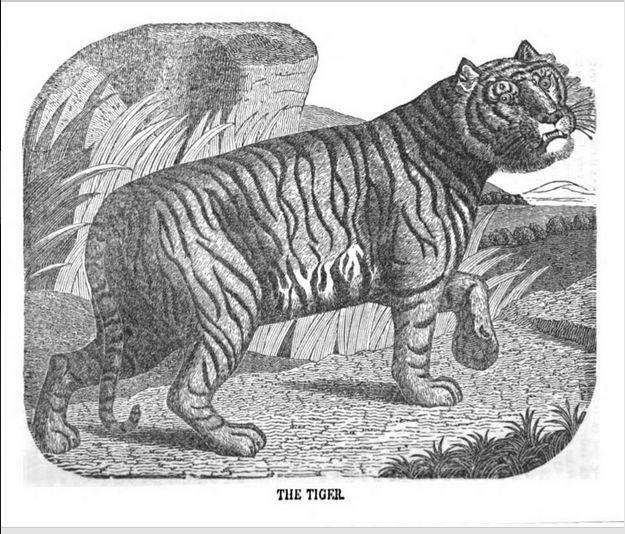 In March 1861 a tiger broke free in Ashburton, and headed for Holne. He finally arrived at the Tavistock Inn, emitted a terrifying growl and attacked a beer barrel. Fortunately he then drank the beer, became drowsy, and was captured and put in a cart. The tiger was returned to Ashburton via Buckfastleigh and put back in his den. The Western Times expressed the hope that the police would 'be more careful of beasts of that kind, and not allow them to ravage the country'. The newspaper makes no comment on why there was a tiger in Ashburton - if it had been part of a travelling show I would have thought the artice would have said. The story seems too good to be true - it makes me suspicious that this might be a paper short of news, or a gullible reporter in the hands of some locals having a bit of fun.